I'm halfway through a short campaign in Hornet Leader, the solitaire game of Carrier Air Operations from Dan Verssen Games. Last I wrote, I had just made it to the dawn of Day 3. I was making steady progress with 3 of 4 successful missions flown. The stress of the missions was taking its toll on my pilots, however, and things were not looking as bright as they should have. Here is a rundown of where we stand as of the morning of Day 3. The chart below shows each pilot in the squadron along with their aircraft. Under each of the "M" columns to the right are the stress levels for each mission. Here's a short rundown of my recent play of DVG's Hornet Leader, a game I dearly love and don't seem to get on the table often enough. 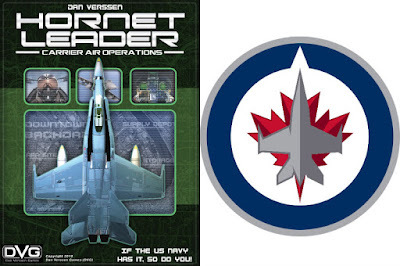 One of the reasons I like this game so much is that the cover bears a slight resemblance to the logo for my hometown hockey team, the Winnipeg Jets. Time is short these days so I chose a 4-day US Navy campaign. I have played the Desert Storm scenario several times and enjoyed it but I wanted something a bit different this time around so I chose the Libya 1984 campaign. I prefer my gaming set in the 1980s as you can see from most of my blog posts here, so this definitely fit the bill for me. 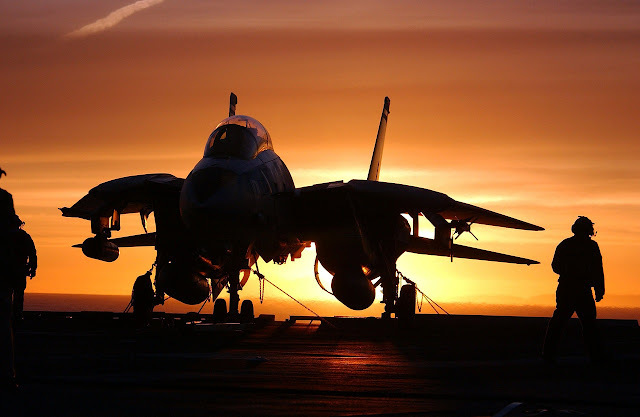 I crossed my fingers and hoped that my squadron in Hornet Leader would fare better than the Jets are doing on the ice this season. They stink!